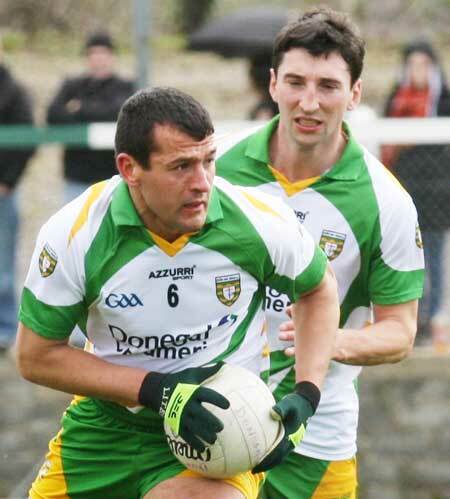 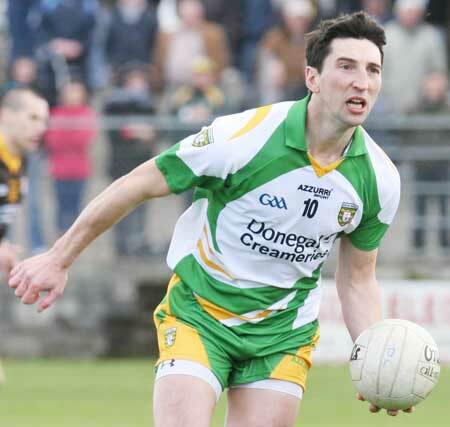 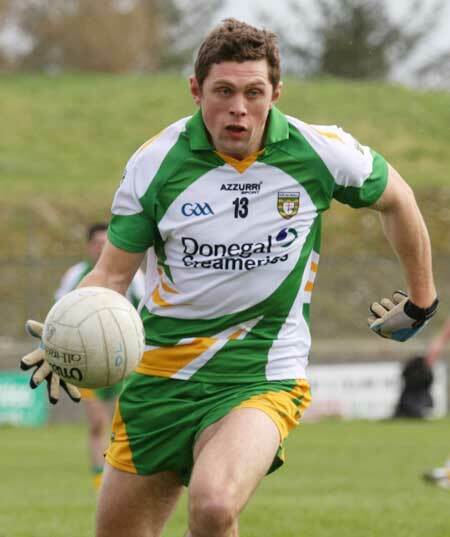 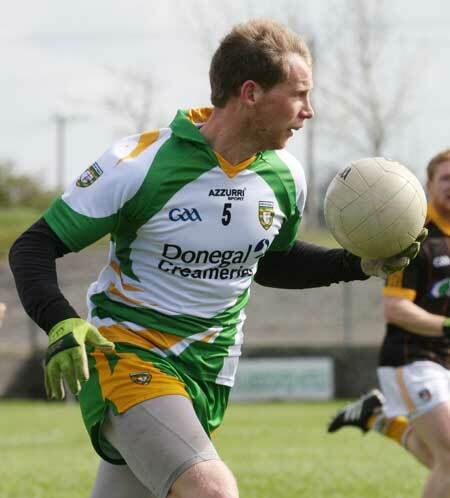 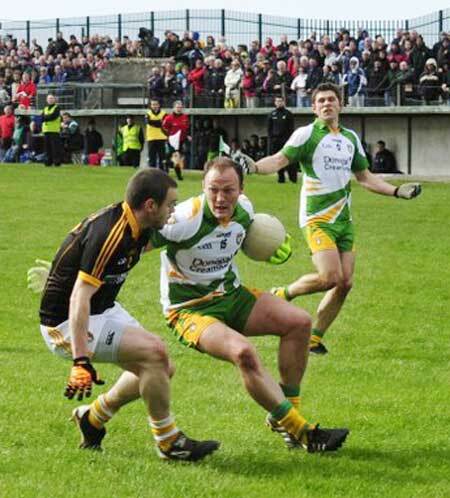 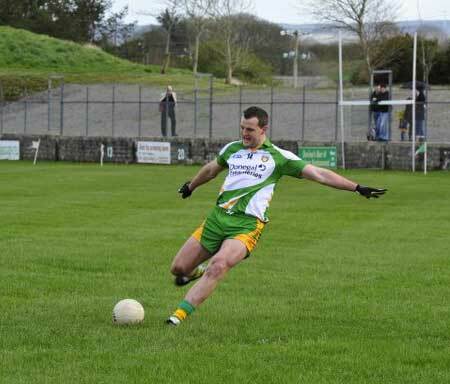 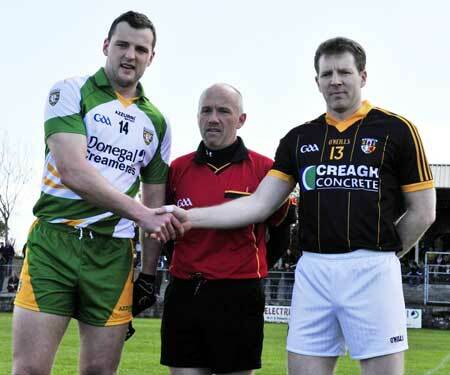 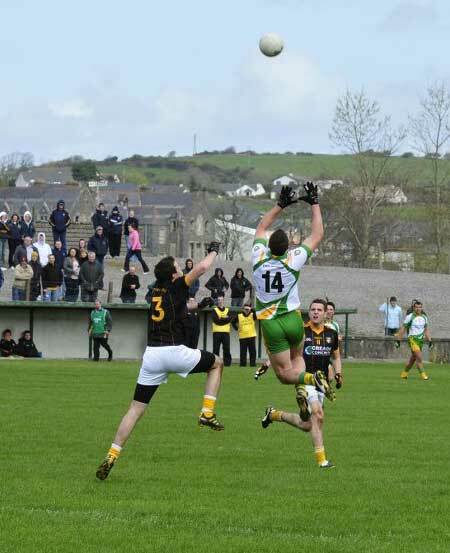 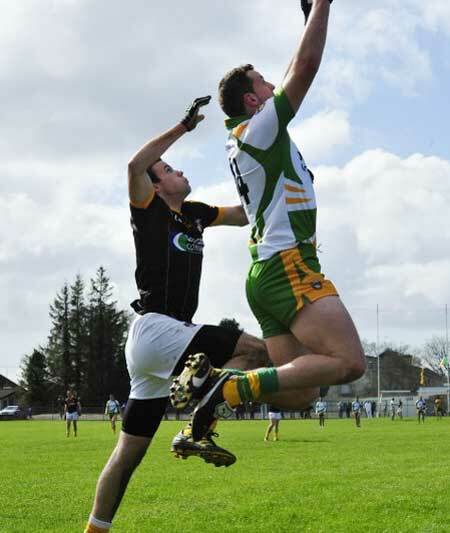 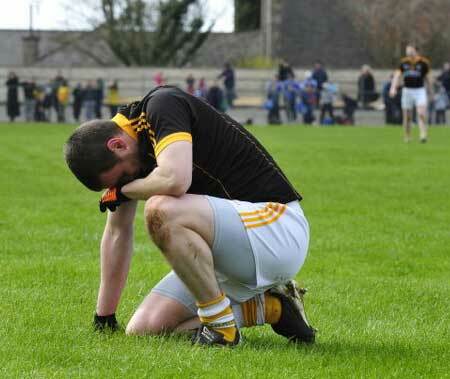 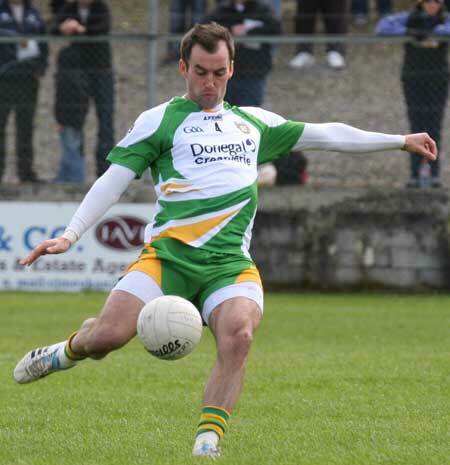 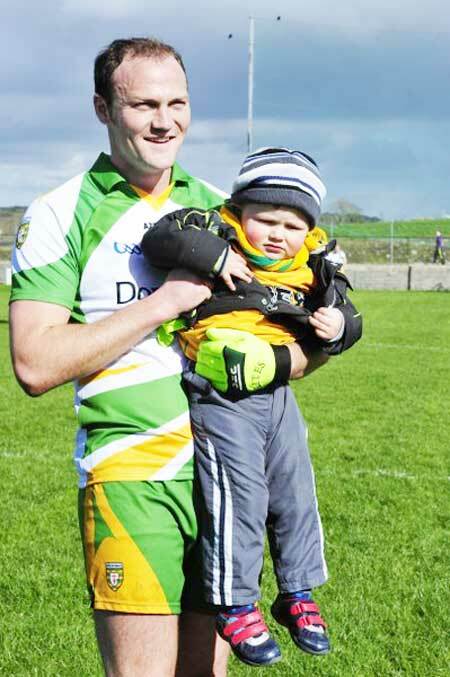 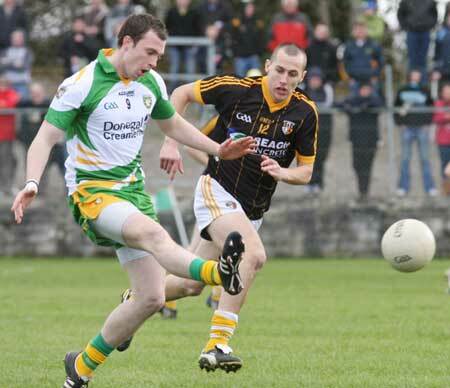 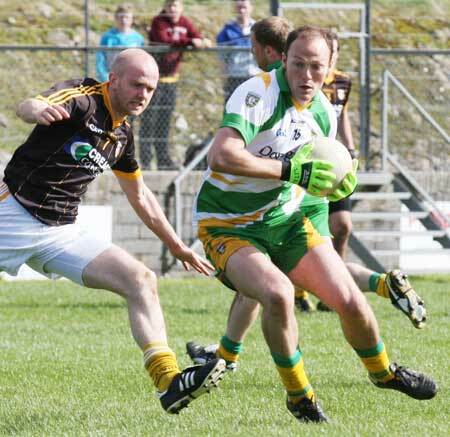 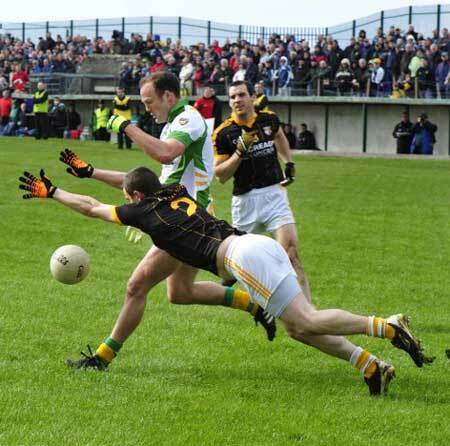 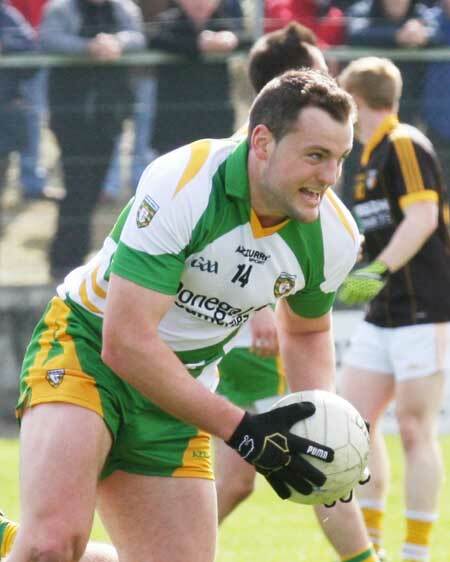 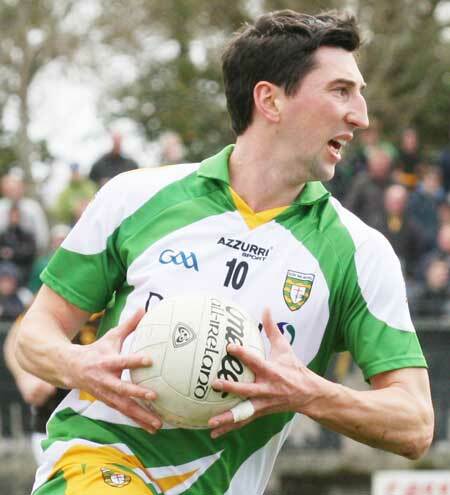 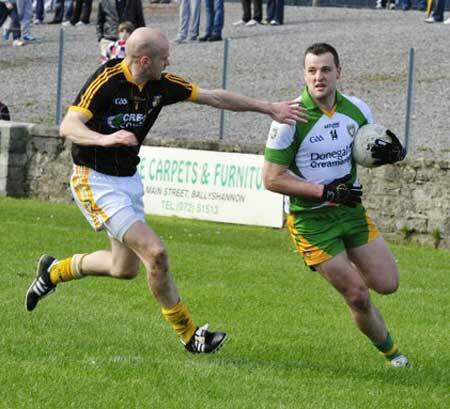 Donegal put themselves in a good position for a place in the divison two league final with a nine point win over Antrim in Father Tierney Park on Sunday. 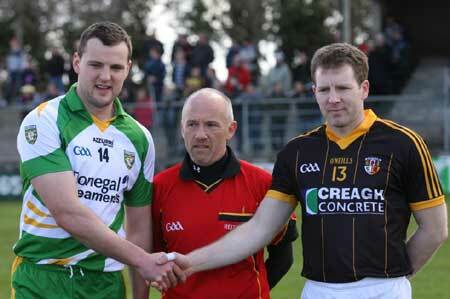 The pitch was in excellent condition and we were blessed with the weather and a good crowd. 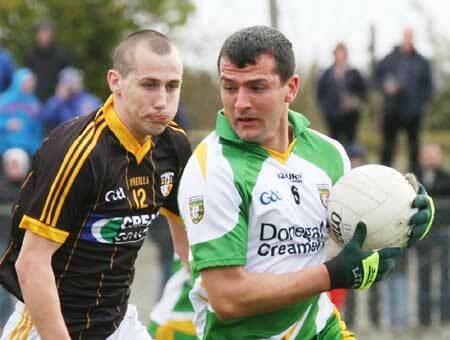 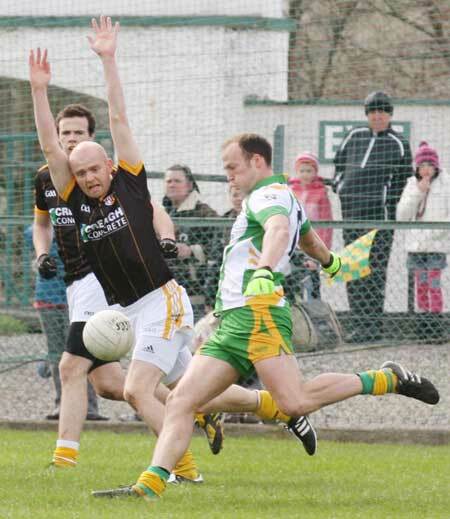 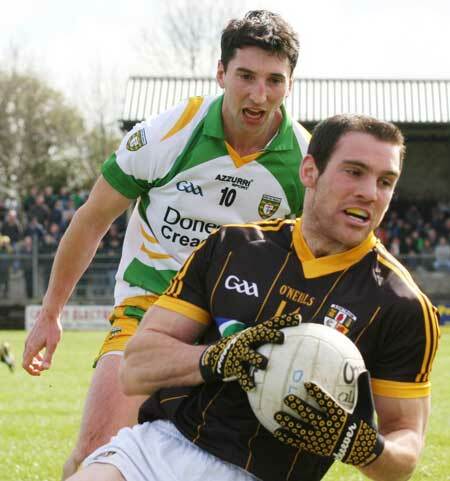 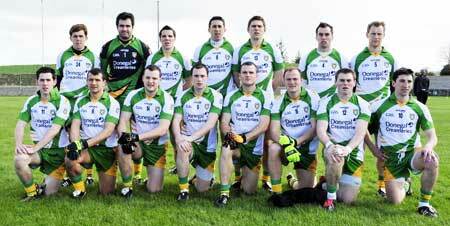 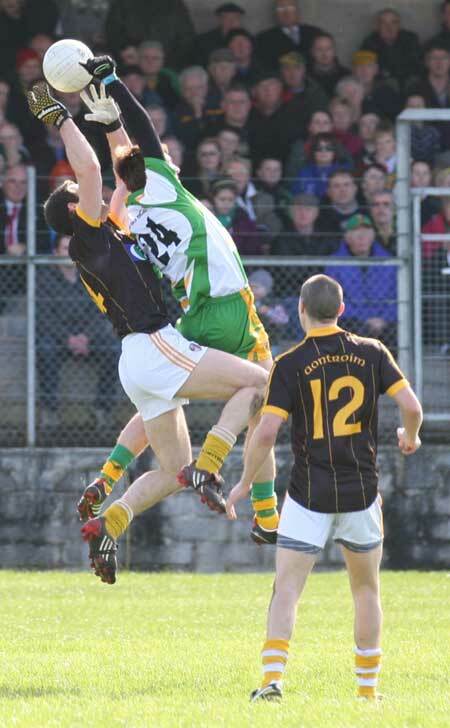 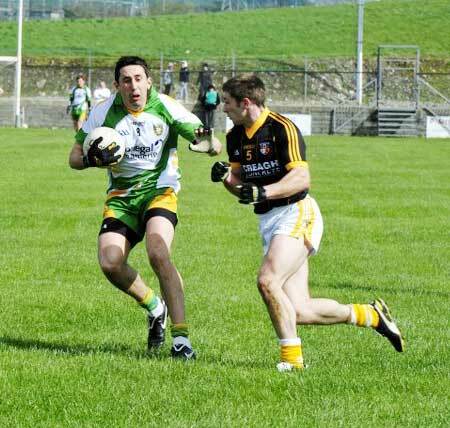 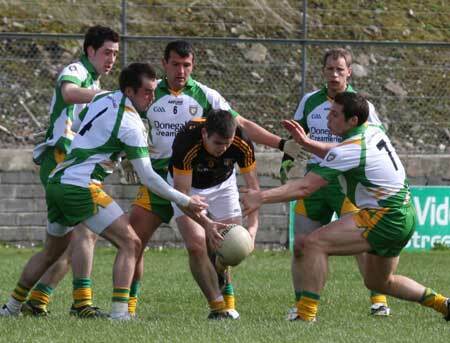 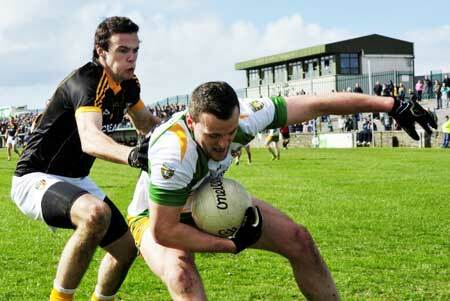 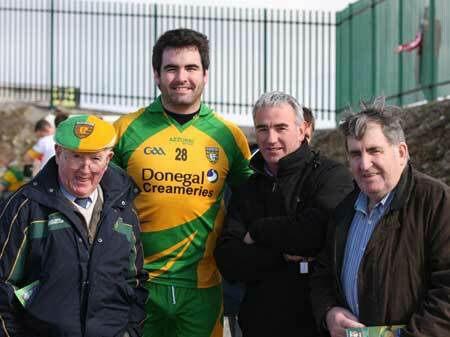 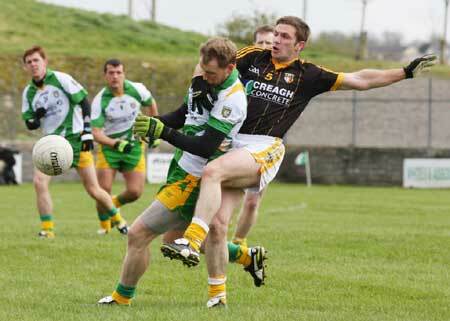 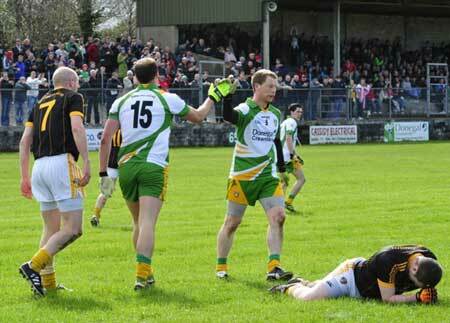 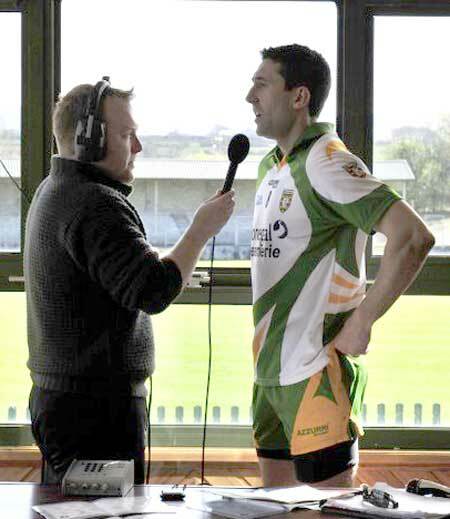 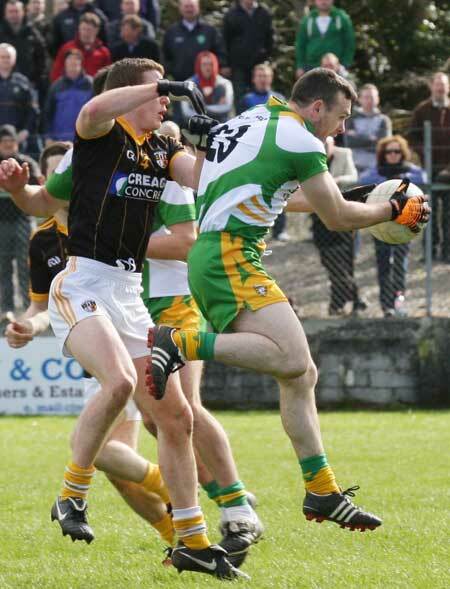 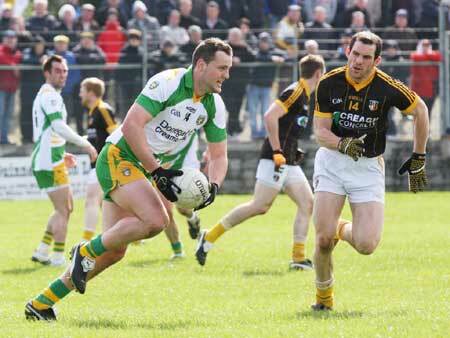 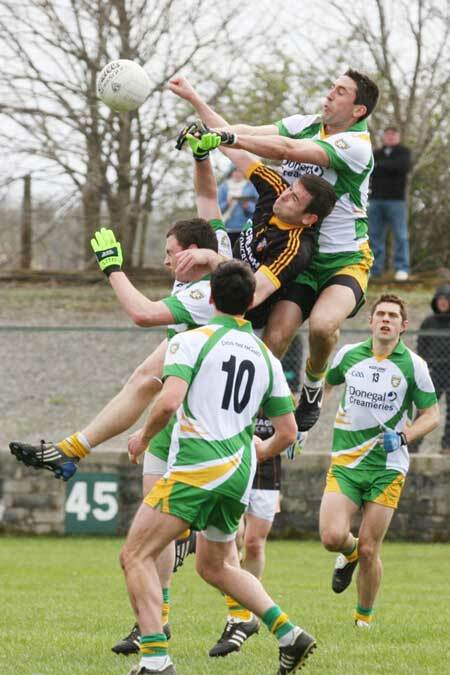 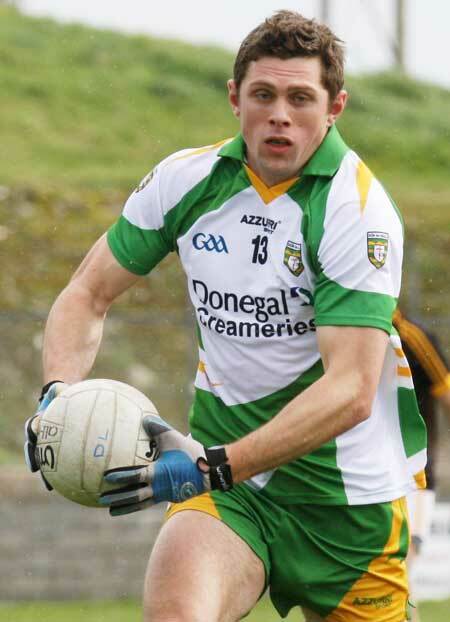 Donegal played in fits and starts, but it was more than enough to account for an under-strength Saffron outfit. 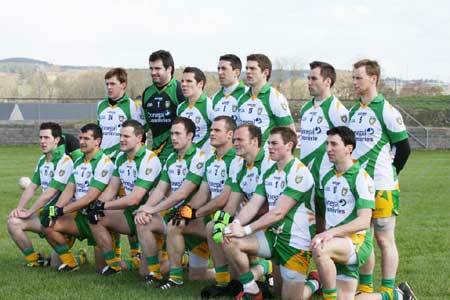 Aodh Ruadh and Four Master's under 12s played in the exhibition game. 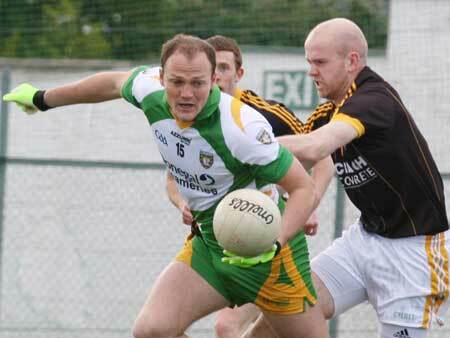 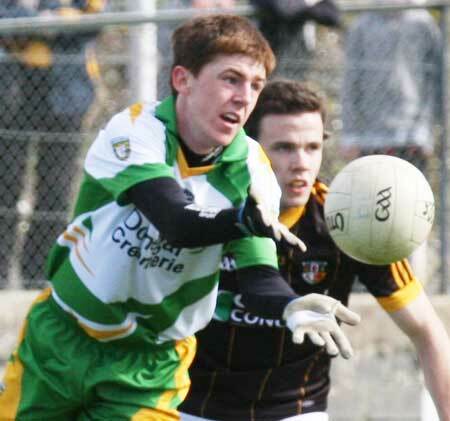 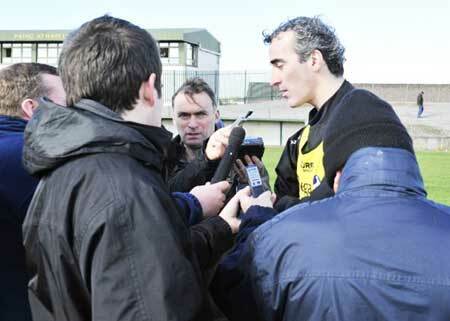 We have pictures from the half-time game in the underage football section of the site. 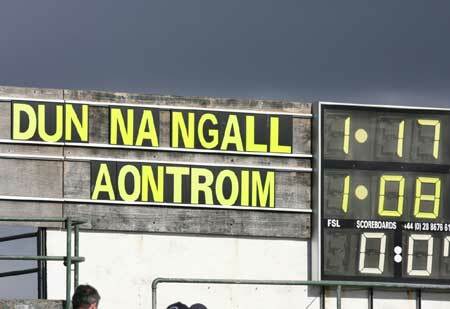 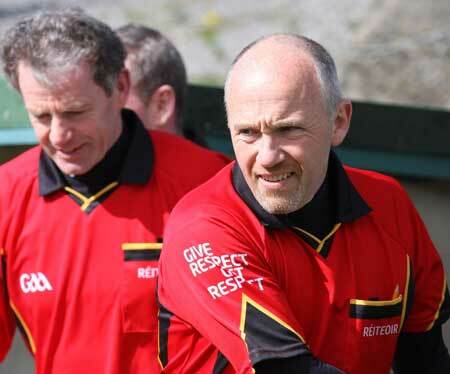 Huge thanks are due to all those who turned out to help out at the Donegal v Antrim National League fixture last Sunday. 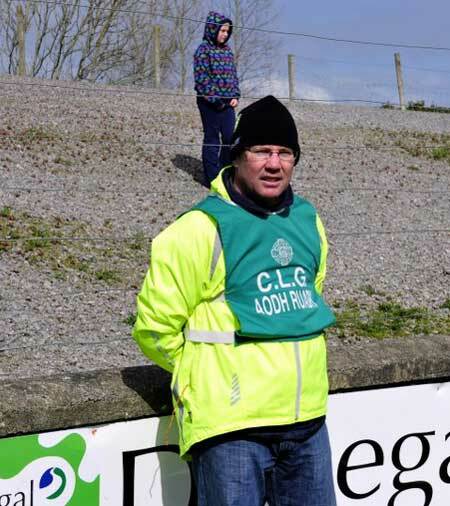 Stewards, PA announcers, traffic control, programme sellers, half-time draw sellers, ball-fetchers, half-time games organisers and assistants, catering, and everyone in whatever other support capacity all pulled together to do a powerful job, well done on doing the club proud once again. 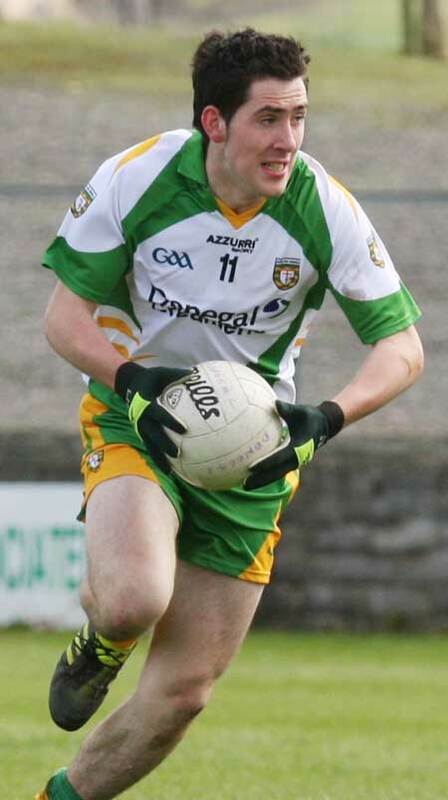 The �100 prize in the half-time draw was won by Patricia Kelly of Killygordon.